We offer over 240+ different Organic / Wildcrafted Essential Oil Blends & CO2 Extracts. Over 100+ Wizard Alchemy Blends have been formulated by founder & holistic pharmacist, Dr. Nick! Join our mailing list to receive the latest wizard updates from our Wizardry Team. We are happy to send you 15% off your first $75 order when you sign-up for our community email list! Essential Oil Wizardry is TRULY your one-stop location for the world’s finest artisan essential oils and plant alchemy! We specialize in sourcing organic / wildcrafted essential oils, CO2 Extracts and Floral Absolutes from all over the planet. 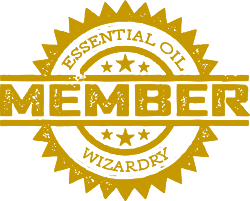 Offering over 240+ different Essential Oil products & Wizard Alchemy Blends, we provide value for everyone! Whenever possible we support smaller community extraction projects that are delivering superior quality products from chemical-free plant material to financially empower conscious land-stewardship on Earth. Our Wizardry Team enjoys formulating epic Therapeutic Formulas, Botanical Perfumes! We are your solution for developing next-level Custom Blends for individuals and creating product formulations for brands! We create the artisan essential oil company that you have been seeking as an alternative to big business and MLM! Providing fair market pricing, superior quality extracts, delivering innovative products using superior-edged technology for enhancing our products. Our intention brings balance to ancestral wisdom, modern medicine, state-of-the-heart technologies & bridges these principles into one botanical based company delivering holistic lifestyle solutions into the collective! EOW was founded by Dr. Nick Berry (Pharm. D) in 2014 to create holistic lifestyle solutions that really work ~ This company is our expression to create more balance, ease and grace on the planet in these challenging societal times. 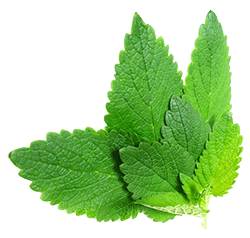 Please In-JOY learning about essential oils and other botanical extracts with our hundreds of essential oil videos / product descriptions on our website under the products section. Mugwort (Artemisia vulgaris) is a unique herb that carries a beautiful earthy, musky and intoxicating sweet aroma, historically touted for its dream-enhancing and sedative properties – this tincture was ultrasonic extracted by Essential Oil Wizardry using restructured, distilled water from wildharvested Mugwort sourced from Ashland, Oregon. Check out our latest page to learn about our newest botanical creations. We are now producing innovative in-house Ultrasonic Extractions for exotic medicinal plants using purified, restructured water as the solvent. Our Ultrasonic Technology produce some VERY high potency extracts which are perfect to produce highly therapeutic tinctures by using Organic Craft Spirits. Check out our latest Ultrasonic Mugwort Extract for a wild experiment into the lucid dream state which produced two products for our audience. Our Ultrasonic Mugwort Hydrosol is perfect for use as a spray around the house, on the pillow before bedtime, as a ceremonial spray for special occasions or to combine with water, colloidal silver and some Himalayan salt to produce your own mouthwash! 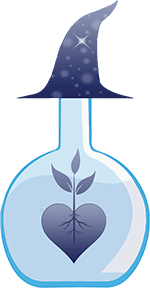 We also have crafted an Ultrasonic Mugwort Tincture – a ultra concentrated journey into the world of the luminal state of consciousness. Mugwort is not a product for the faint of heart, nor for anyone with any serious health conditions. There are noted concerns for toxicity with Mugwort – please do your own research and take responsibility for your own health if you choose to experiment with our Ultrasonic Mugwort Tincture! Curious about our Monthly Alchemy Club? Learn more & play with unique, new botanical offerings – arriving at your doorstep every month for as little as $20/month! What is the EOW Club? Create your very own personalized essence based on your specifications: Therapeutic Formulas, Botanical Perfumes, Romantic Partner Blend Experiences & Commercial Formulas. What's your favorite essence? Let's find out together!